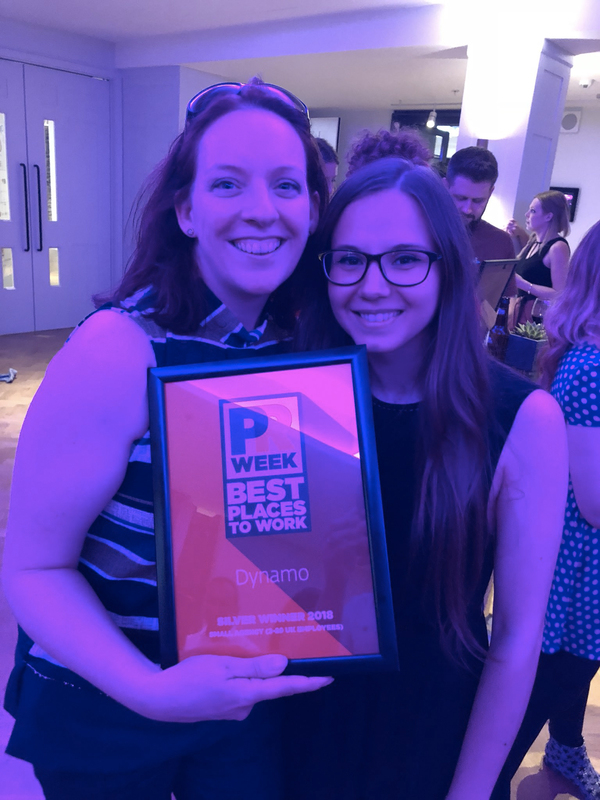 Last week, Dynamo was in attendance at the PR Week Best Places To Work Awards. We were honoured to be presented with a Silver in our category. It’s a huge achievement for us and a wonderful reward for all the hard work done by the management to ensure that Dynamo continues to be recognised by our industry in such a way. I joined Dynamo 5 months ago and this award comes as no surprise. I know it’s not an original opinion to think that you work at a great company, as a great man once said “Everyone thinks they have the prettiest wife at home.” In my case, I think it’s true. From my first day I was welcomed and made feel part of the team. We’re a small group but we get on fabulously. You can see that the principles of the company are reflected in the people that work in its offices. The reason we come in every day is to deliver great work to great clients. It makes our jobs a lot easier knowing that we’ll be surrounded by like-minded people who share our goals and passions. 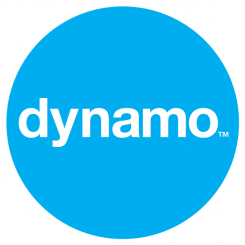 We’re in the middle of a recruitment drive right now and we’ve been meeting so many really great candidates but the thing that we always come back to is “…are they a good fit for Dynamo?” It’s a difficult question to answer but they’ve been pretty good at answering it so far. Even the way we do recruitment (check out our post on Blind Recruitment) here looks to change the way the industry hires people. To look beyond the qualification (or lack of, it doesn’t matter) and find the person that has what it takes to add something to our team. So if you’re reading this, maybe your researching our company before an interview or just interested in working at one of London’s Best Places To Work then know that working here is a real treat. Joining this company was one of the best decisions I’ve made and we can’t wait to hear about what you can bring to Dynamo. *I went the whole way through and didn’t even mention the Friday Treat, Dynamo Does, unlimited holidays, Don Draper Clause, Karaoke and Bowling nights, yearly bonus, share-options, Disrupt Dynamo away days, pension scheme and Evil Santa!